Preparation Strategy For CAT 2018: Conducted by the IIMs, the CAT is taken by over a quarter of a million MBA aspirants every year. The CAT is a computer-based test and is a prerequisite for admissions in all the IIMs and numerous other MBA colleges in the country. The exam is extremely competitive and only a handful of the total applicants make it to the college of their choice. The CAT includes 3 sections such as quantitative aptitude, verbal & reading comprehension and logical reasoning & data interpretation sections. The exam tests the basic knowledge, interpreting, and comprehending capabilities of the candidates. So, most of the topics in the exam are of school-level and designed in a way that candidates from different academic backgrounds can attempt. To ace the CAT, proper preparation and confidence to tackle different questions are required. To help the CAT aspirants prepare for CAT 2018 more effectively, some important preparation strategies are given below. Before starting with the CAT preparation, it is important to analyze the current level of skills. So, it is suggested to start strategizing a preparation plan by self-analyzing the strong and weak topics from the CAT syllabus. Self-analysis can be done either by marking the weak topics or by taking an initial mock test. After having a preparation plan, start following that properly. It is important to cover all the syllabus topics and be confident with all the topics. Solve several CAT sample papers, practice questions and previous year exam papers to develop problem-solving strategies and understand the questions-types properly. The CAT exam has 100 questions that the candidates need to finish in 180 minutes. So, it is important to solve questions fast and accurately. Hence, learn important shortcuts that can help to calculate questions faster and correctly. Also, it is suggested to revise the topics and shortcut techniques periodically to retain those for longer. Taking CAT mock tests are extremely crucial as they not only help to understand the current preparation level but also help to get acquainted with the actual exam. One can even take sectional tests to improve skills and confidence for a particular section. Mock tests also help to improve problem-solving abilities and devise personal test-taking strategies. 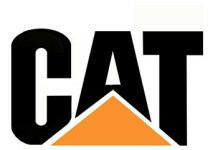 These were some of the important tips to help the candidates prepare for CAT more effectively. During the exam, it is suggested to avoid guessing as the exam has negative marking for incorrect attempts (except for TITA questions). This year, CAT will be conducted by the end of November (tentatively). The CAT 2018 registrations are expected to begin by the first week of August. It is suggested to begin CAT preparation early and be confident with all the syllabus topics. CAT aspirants are suggested to subscribe BYJU’S YouTube channel and learn various important exam topics more efficiently from various engaging video lessons.